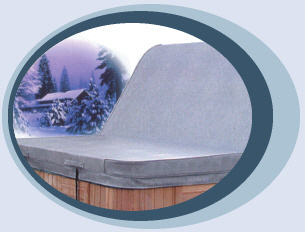 At ALPINE SPA COVERS, we have been specializing in high-quality spa covers for over 20 years! For more information about our products, please browse our on-line catalogue. Any inquiries can be made by phone or via the email link below. Thanks for browsing! WEB NEWS: On-Line Ordering Available!!!!! ALPINE's Web developers will be doing a lot of "re-construction" on our Web site over the next while. We will be modifying existing information to reflect some recent additions/changes to our product offerings. They will also be modifying our dealer ON-LINE ORDER SHEET to reflect the changes (Dealer: Have you tried the online ordering option?? After you input an order, you receive a confirmation email with a printable version of the order attached). And our Dealers have requested that a printable version of the standard ALPINE ORDER FORM be available at the Web site. This will be added during the reconstruction.